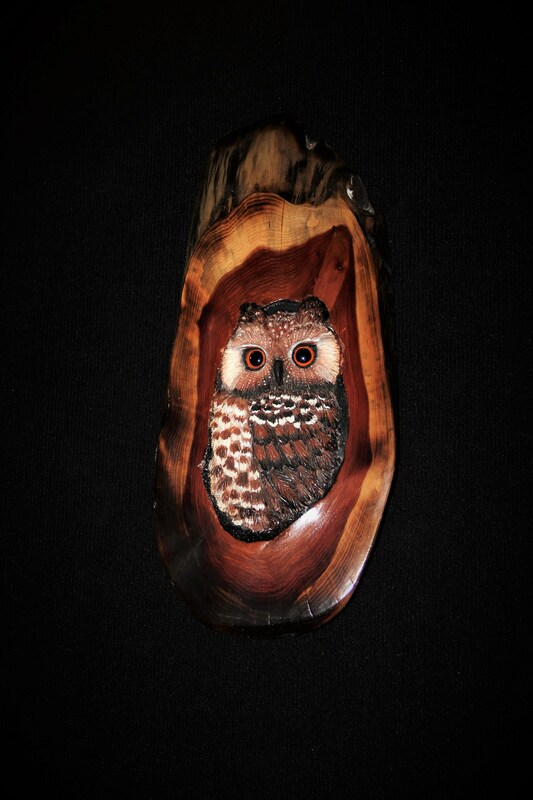 This owl peeking from this red cedar round nest is hand carved and sculpted and then painted with acrylics.The use of glass eyes gives each bird a life of their own. 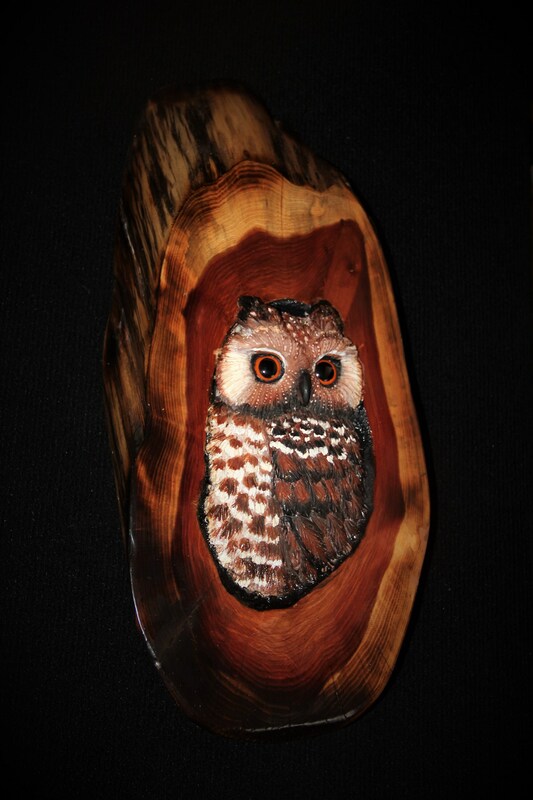 I'd like to give each owl their own personality and hopefully add a bit of whimsy and nature to your home. 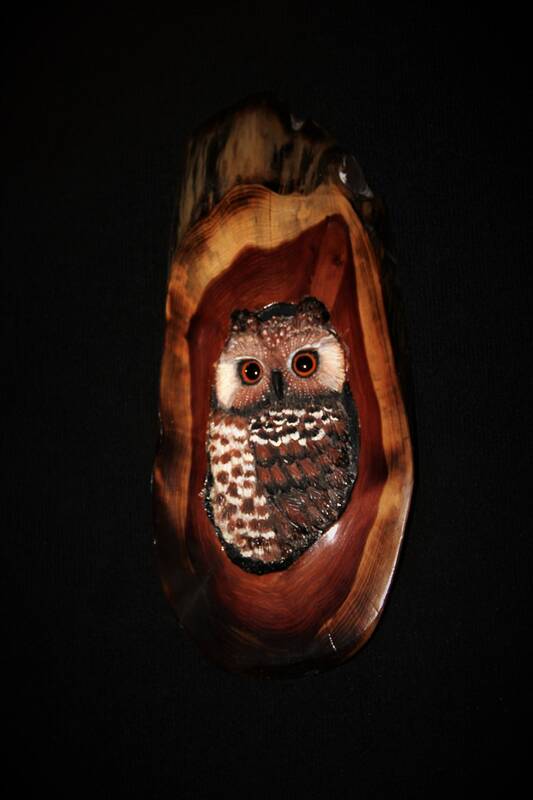 I work with wood from trees that have fallen, driftwood or other found wood. 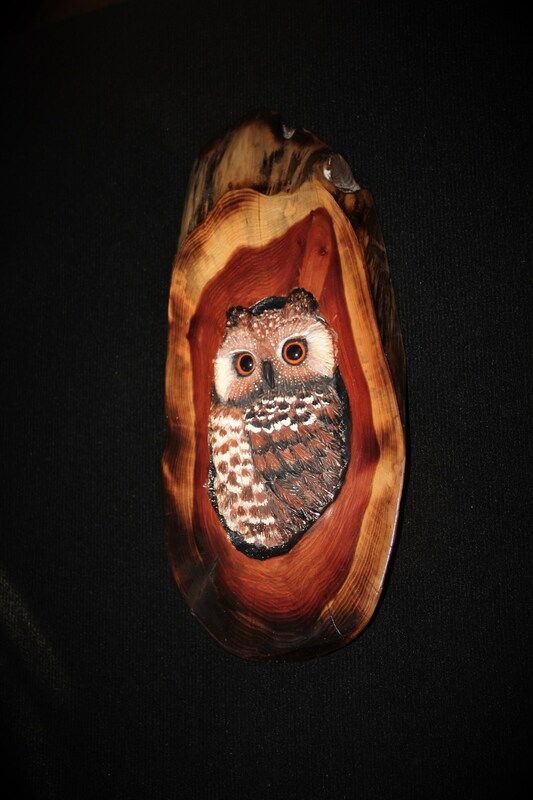 I really enjoy working with this wood for both the beautiful natural red hue and its aromatic scent. Every piece is an original by Donna Genovese. Payment is set up through Etsy via paypal and electronic check. If you need to pay via a different method contact me and Im sure we can come to a mutal agreement. I do my very best to ship within one business day. It is generally via USPS though there are occasions that it may go through a different carrier. If you need expedited shipping be sure to let me know. I will do my very best to get that accomplished as long it is ordered with in a time that it can be arranged. I am happy to accept returns on damaged products. Unfortunatley there can be casualties associated with all the major carriers. If your product has arrived damaged contact me and we can arrange to have it returned or replaced.